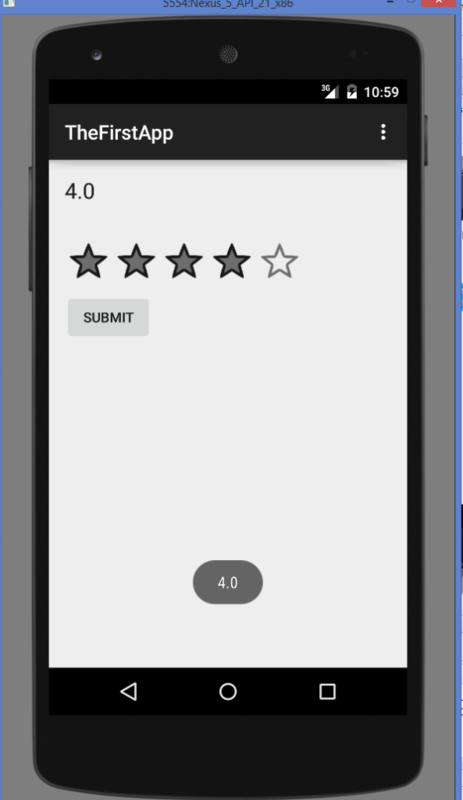 In this tutorial we will learn How to use RatingBar in Android Using Android Studio. 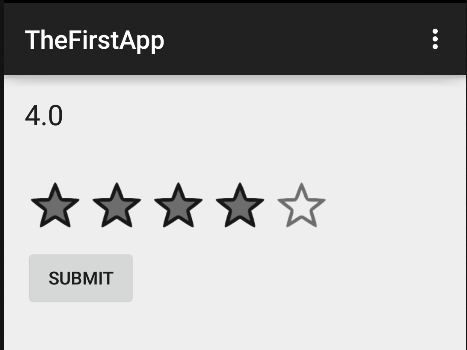 Generally we use RatingBar when we want to allow the user to rate some product or action. Step 2 – Add a RatingBar in the main activity. Also Add a button and TextView to the main activity as shown in the picture below. I had created a RSS Reader android app that contain a news headline, and i want to add some category of news like (Sport, Techno,etc) but i don’t know how to make it. can you please make an android tutorial about RSS reader that show a news headline(or whatever it is) based on the category. Like if i click Sport Category the app will show the news headline about Sport.